More than half of all the oil and gas on the Norwegian Continental Shelf remains under the seabed, and can keep Norway’s oil industry pumping for years to come. That’s the main conclusion in this year’s report on the country’s oil resources from the state oil directorate. 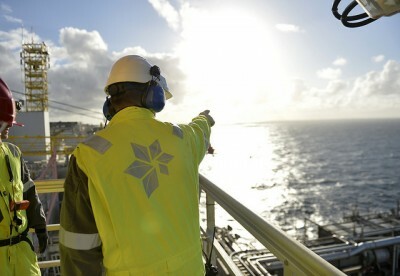 The directorate estimates that Norway’s collective petroleum resources amount to around 14.3 billion standard cubic meters of oil equivalents. An estimated 39 percent of the total resources are still waiting to be discovered, according to the directorate’s 2017 report that sums up how much oil and gas can be extracted. 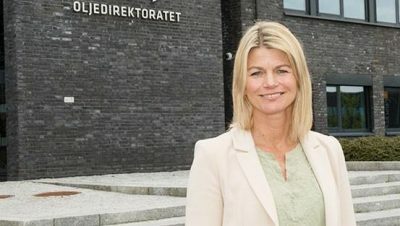 “We believe there are large remaining oil and gas resources on the Norwegian Continental Shelf that will contribute to major value creation for many, many years, if we take the right steps,” Ingrid Sølvberg, director of development and operations at Oljedirektoratet, told Norwegian Broadcasting (NRK) on Thursday. The optimistic outlook is also conditional on world demand for oil at a time when production and use of fossil fuels is under pressure and criticism, because of the carbon emissions they generate. The bullish outlook noted that total resources have increased by more than 40 percent since 1990, when concerns were already being raised that Norway’s North Sea oil wells would soon run dry. Intead, large new deposits of oil and gas have continued to be discovered, while the Norwegian Sea and the Barents Sea in the Arctic are viewed as holding the most untapped potential. At the beginning of this year, according to the directorate, 77 oil discoveries were being evaluated for development and production. Of those, 42 were in the North Sea, 27 in the Norwegian Sea and seven in the Barents Sea. Many of the 77 discoveries are otherwise relatively small, prompting the Oil Directorate to urge oil companies to consider joint solutions for development and seek to use existing infrastructure. “That’s why we encourage a high level of exploration activity in mature areas,” she said. Sølvberg’s comments during her presentation of the resource report on Thursday will be more music to the ears of Oil Minister Terje Søviknes, who has continued the government’s moves to open up ever more of Norway’s offshore areas to oil exploration and eventual production. The plans remain controversial, since oil and gas production sets off carbon emissions that Norway and most other countries around the world are otherwise trying to curtail. Norwegian officials have long been caught in a dilemma as they seek to address climate and environmental concerns while also wanting to maintain the biggest source of income for the country’s welfare state.